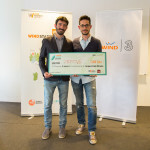 LUISS ENLABS | Congratulations to PoWaHome and Zemove, winners of the Wind Business Factor! 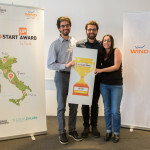 Wind Startup Award, the contest made for startups and business ideas promoted by Wind and organized on the digital platform Wind Business Factor with LUISS ENLABS as a partner, ended yesterday with the great victory of PoWaHome, first among the seven most innovative entrepreneurial realities presented. PoWaHome also participated in the program Android Factory 4.0, launched by LVenture Group and Google, which ended on April 11th. 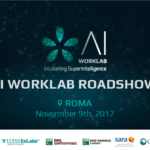 PoWaHome will have the opportunity to participate in the Execution Program of LUISS ENLABS, which consists in two months of "pre-acceleration". We are proud of its goal! "We are very proud of this award. These months have been intense but allowed us to grow professionally and, for this, we thank Wind Business Factor, that has enabled us to undertake this training and our mentors who have followed us and have "beaten" us when we were wrong. 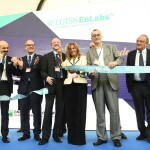 Now we are ready for the execution program of LUISS ENLABS " During this event, the winner of Wind Green Award, promoted by Wind Business Factor and dedicated to the ideas and startups that deal with sustainable innovation, has also been proclaimed. 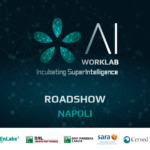 We are talking about Zemove, the startup with the "green" heart dealing with car sharing, who will receive a cash prize and the opportunity to access the incubation program of Impact Hub Milan, which is the first center in Italy dedicated to innovation and social entrepreneurship and also partner of the initiative. 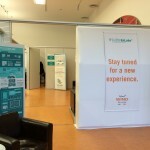 Zemove also participated at the Android Factory 4.0 program, reflecting a successful path, that has been able to select and believe in the best business ideas! "Of course we are proud of the Wind Green Awards and we are even more determined to continue this wonderful journey. Zemove is a young startup that has, as its main goal, the environmental sustainability and sharing of experiences among people. We are delighted to have received this award from Wind Business Factor and Impact Hub, because we believe that our values are consistent with the ideas of these two great realities." 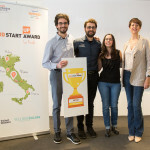 With the closing of this new edition of Wind Startup Award, our partner Wind Tre, a leader in the mobile market in Italy, confirms its wish to support new generations of entrepreneurs and Italian startup ecosystem.